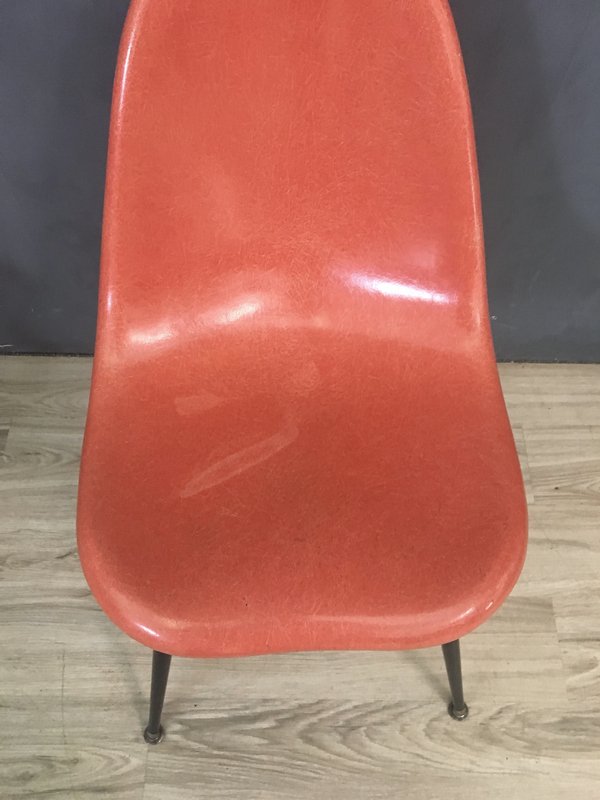 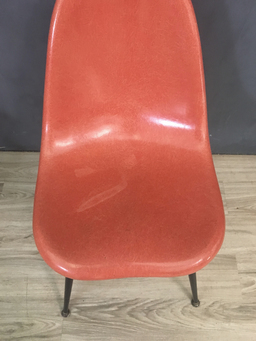 Who doesn’t love a salmon pink shell chair? 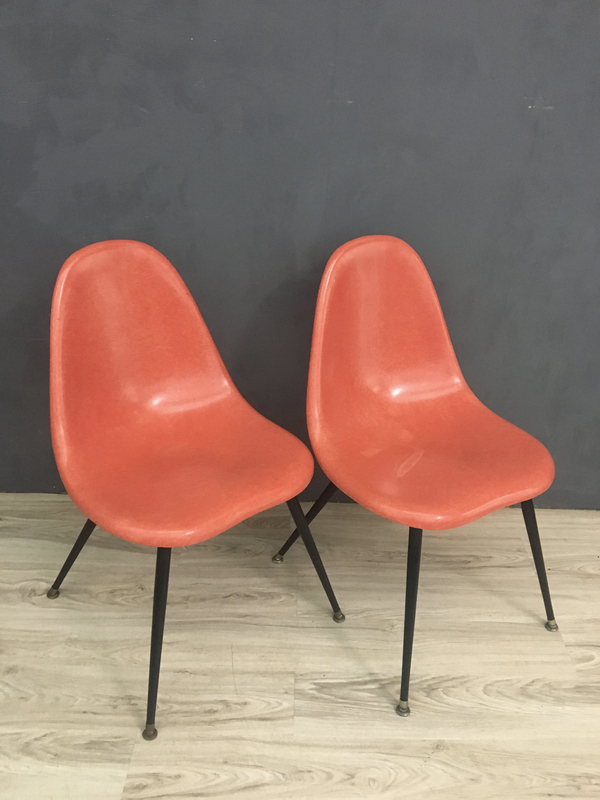 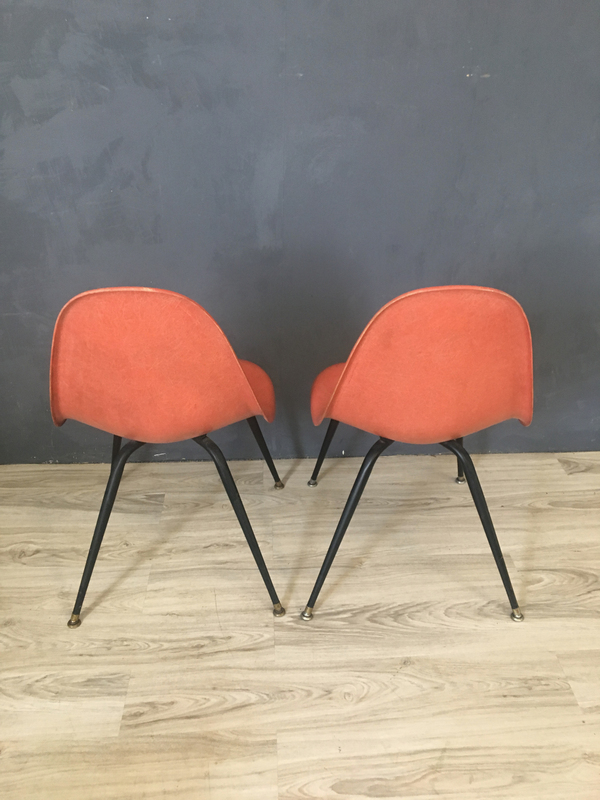 These were produced by Chromecraft in the mid century and have that great fiberglass pattern and awesome color. 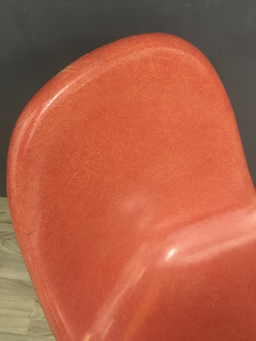 In excellent condition--one chair has some fade marks in the seat.